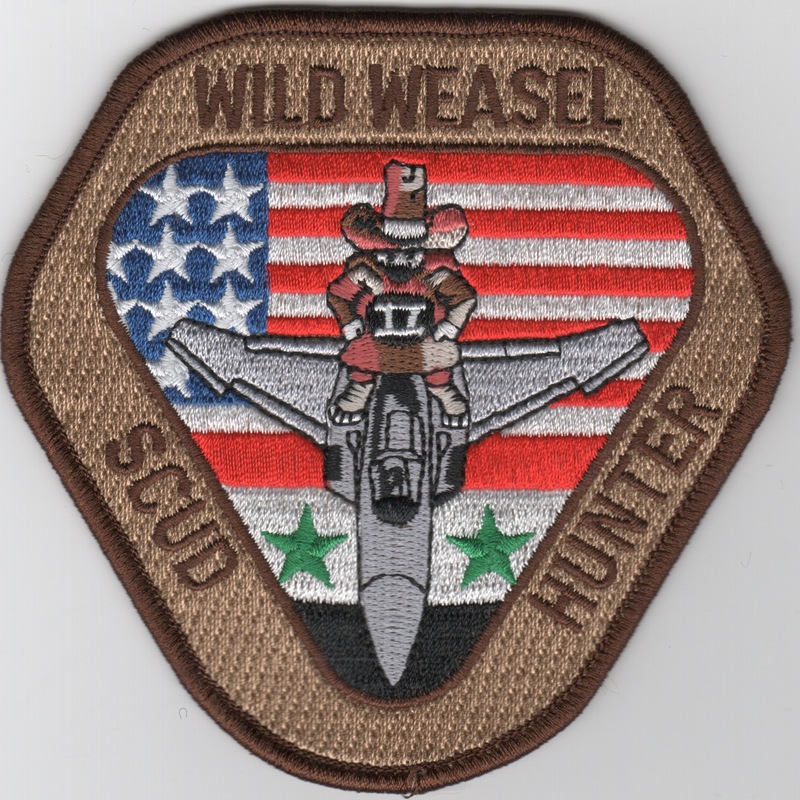 F-4 Allied Force "Ghost Weasel"
This is the "WILD WEASEL SCUD HUNTER" patch created by the F-4 Phantom guys for their role in Operation Iraqi Freedom and shows the Iraqi flag at the bottom. This patch does not come with velcro attached. 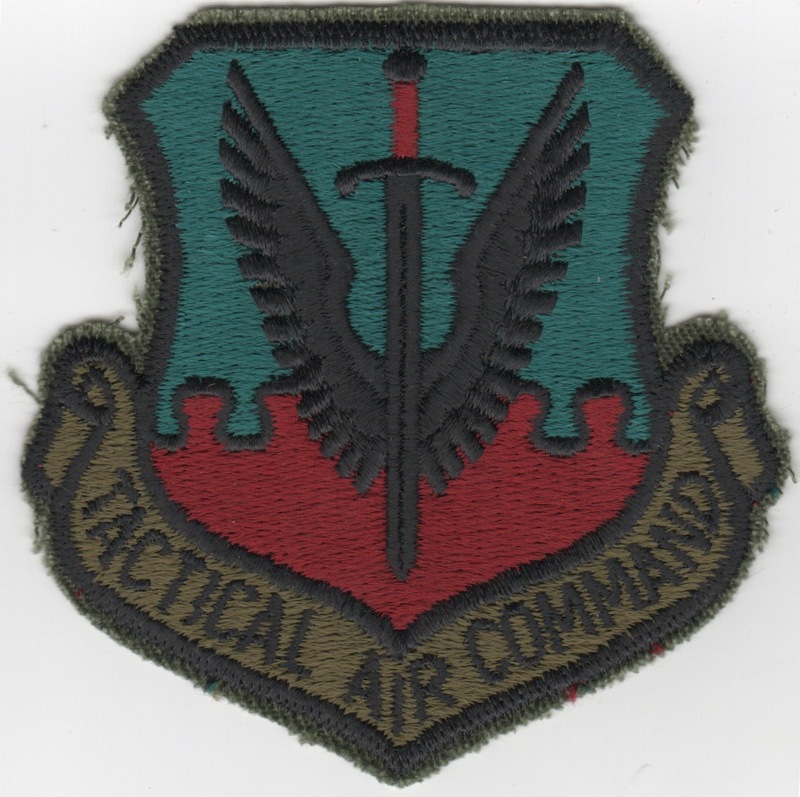 This is the shield-shaped F-4 patch created for those who flew 100 missions over North Vietnam worn to depict their experience level. 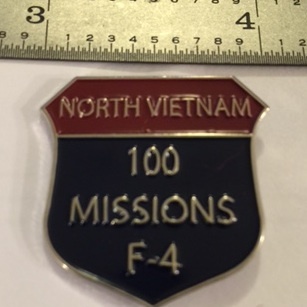 This is the shield-shaped F-4 lapel pin created for those who flew 100 missions over North Vietnam worn to depict their experience level. 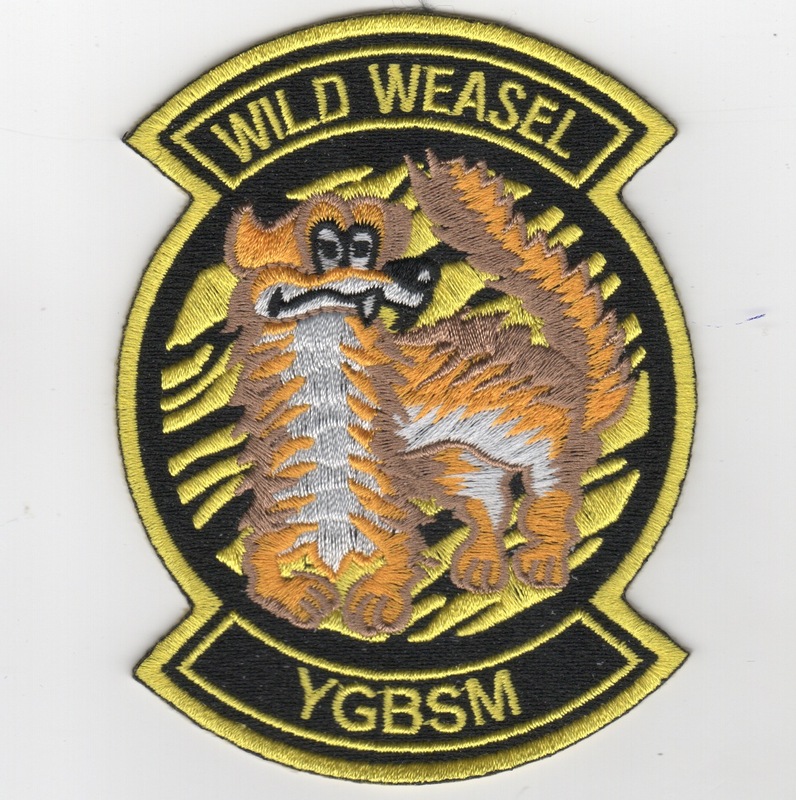 This is the F-4 patch created for those who flew 100 missions over Vietnam to wear to depict their experience level. 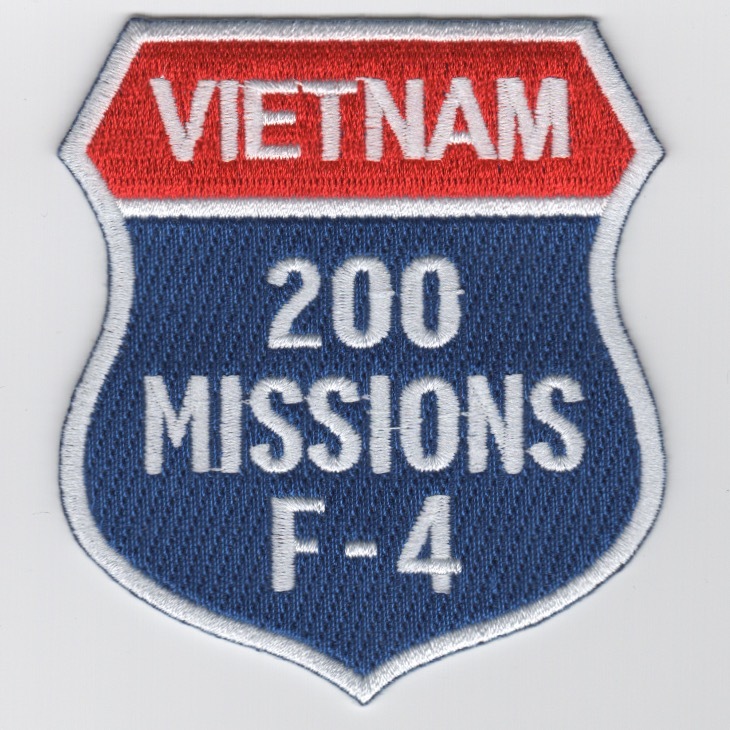 This is the F-4 patch created for those who flew 200 missions over Vietnam to wear to depict their experience level. 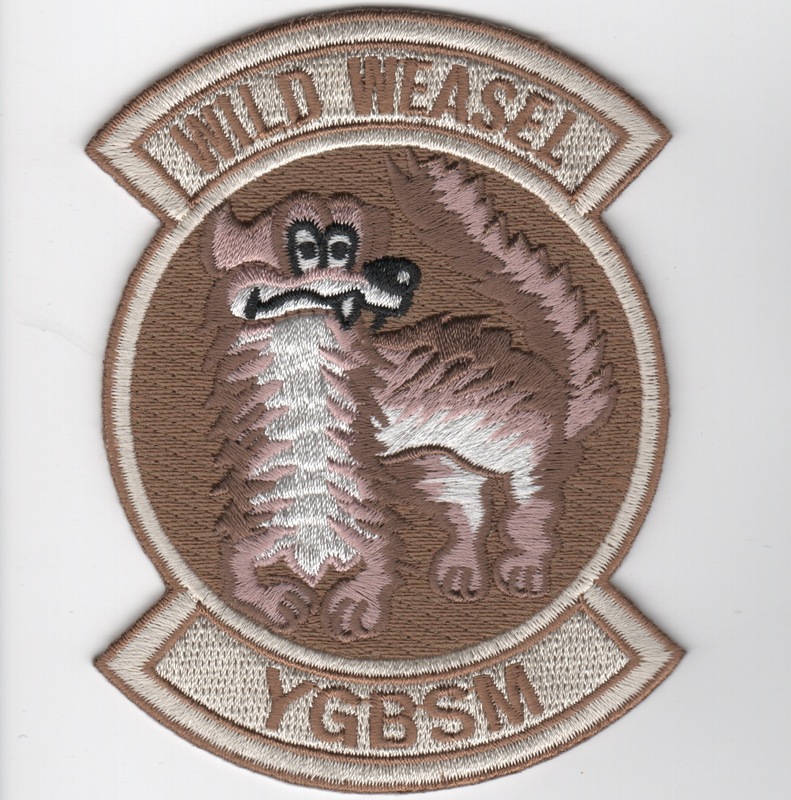 This is the F-4 patch created for those who flew 300 missions over Vietnam to wear to depict their experience level. 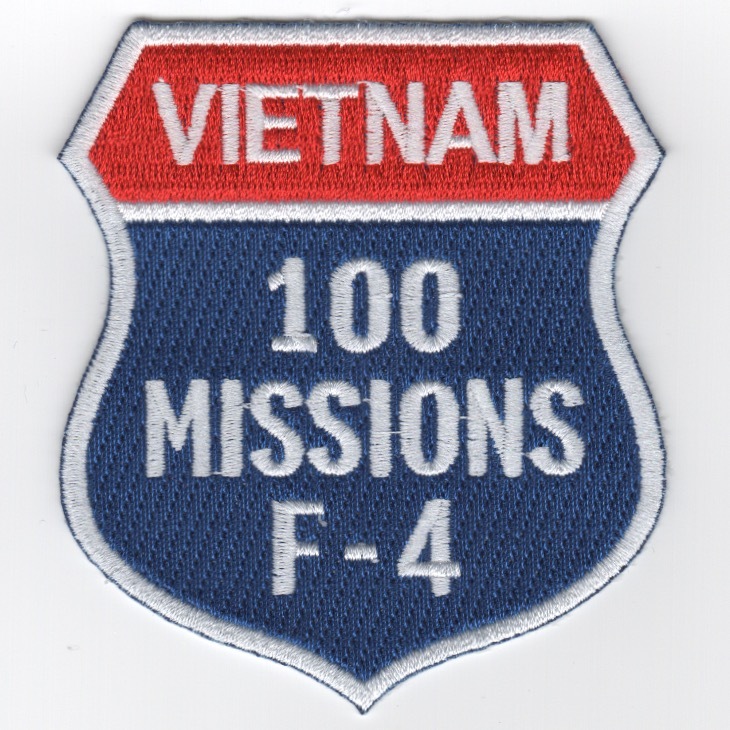 This is the F-4 patch created for those who flew 400 missions over Vietnam to wear to depict their experience level. 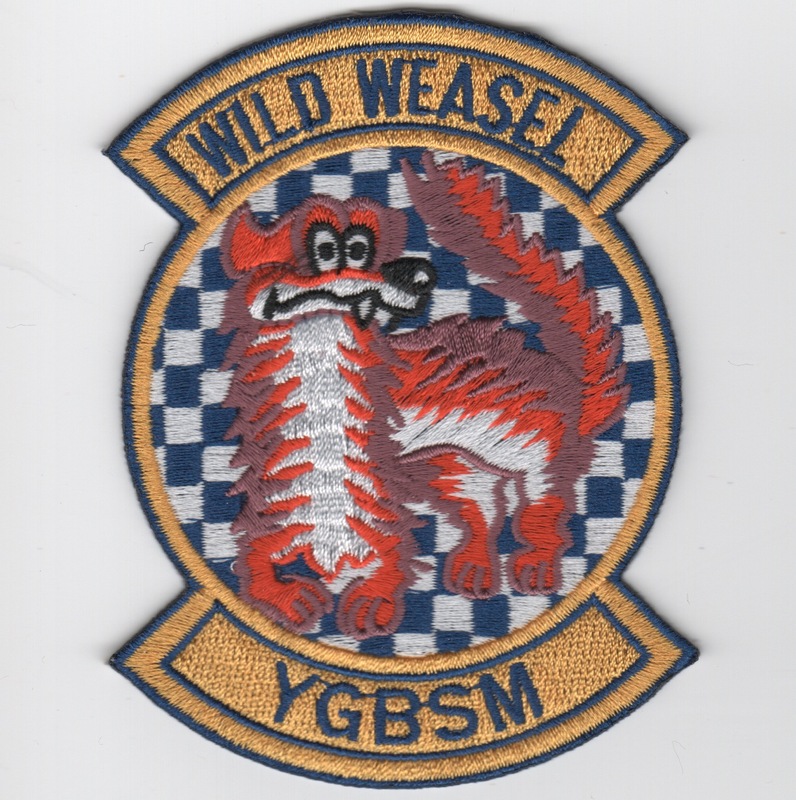 This is the F-4 patch created for those who flew missions over Vietnam. This is for the complete set of mission patches (100-400). 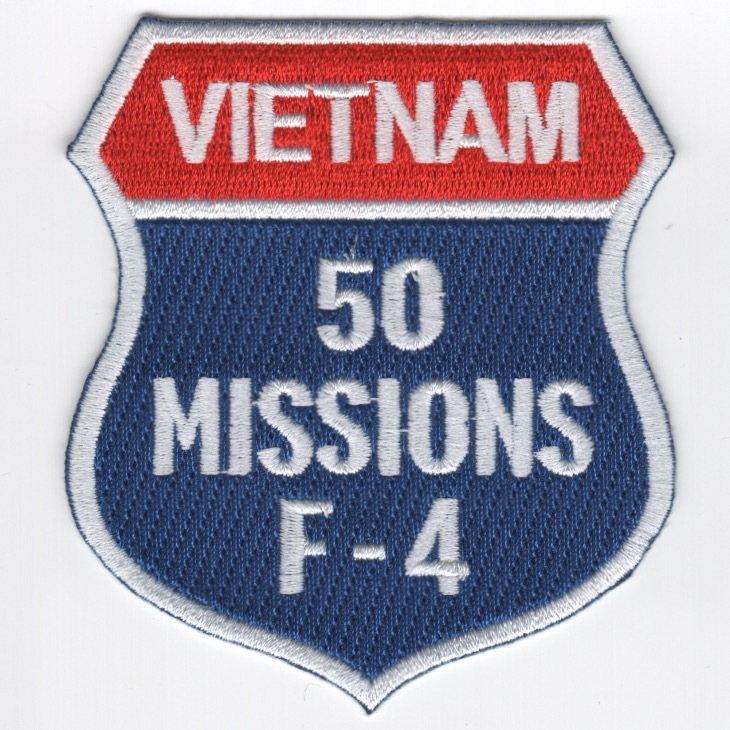 This is the Red/White/Blue shield-shaped patch depicting 50 missions in an F-4 Phantom over North Vietnam. 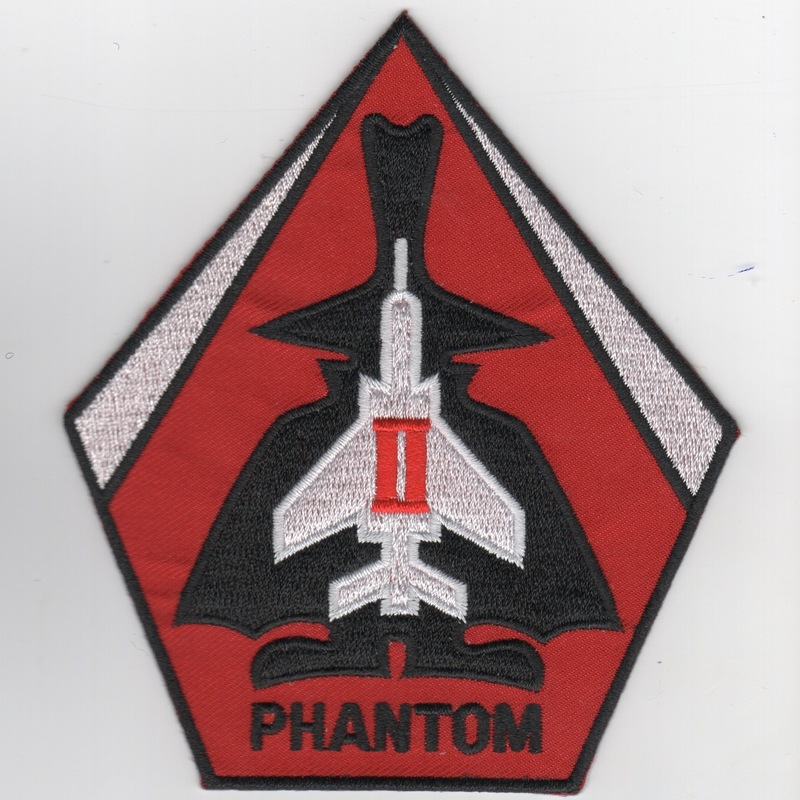 It was recently created for the Phantom community and does not have velcro attached. 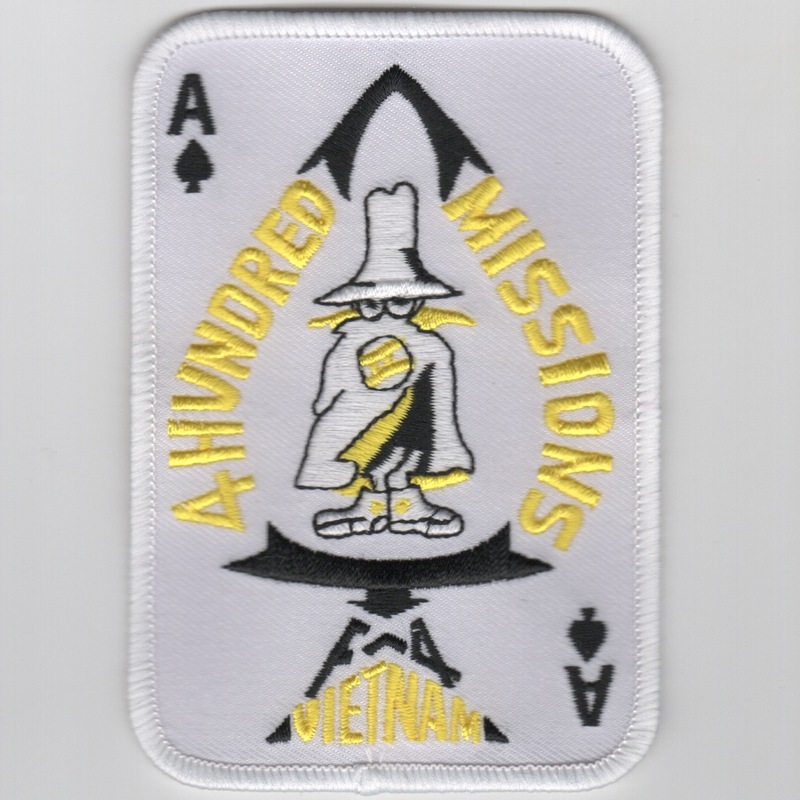 This is the Red/White/Blue shield-shaped patch depicting 100 missions in an F-4 Phantom over North Vietnam. 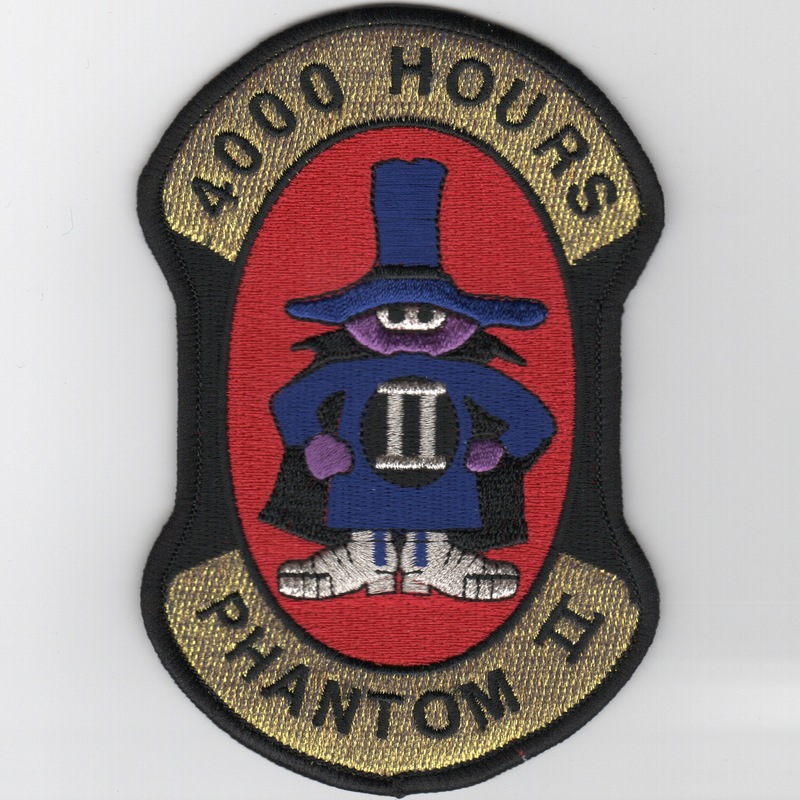 It was recently created for the Phantom community and does not have velcro attached. 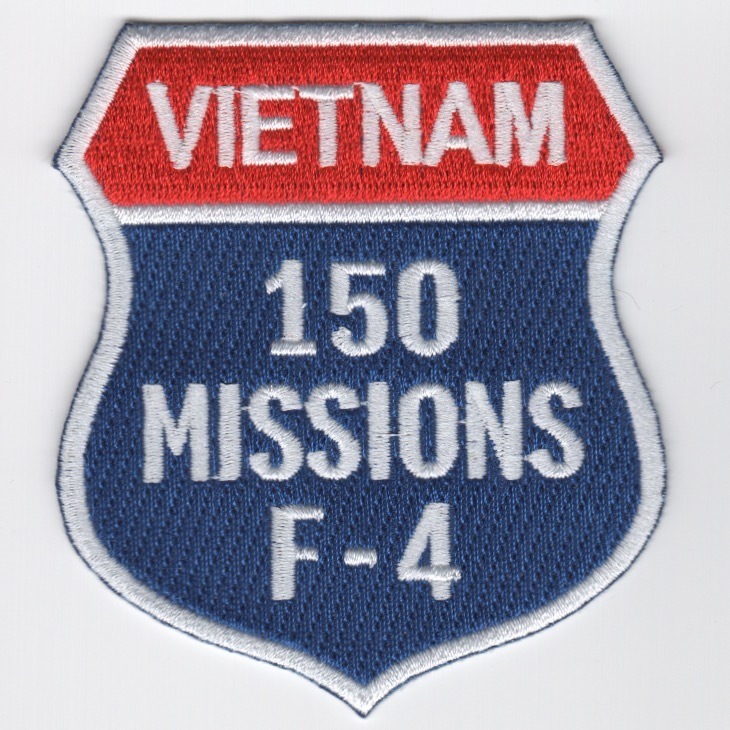 This is the Red/White/Blue shield-shaped patch depicting 150 missions in an F-4 Phantom over North Vietnam. 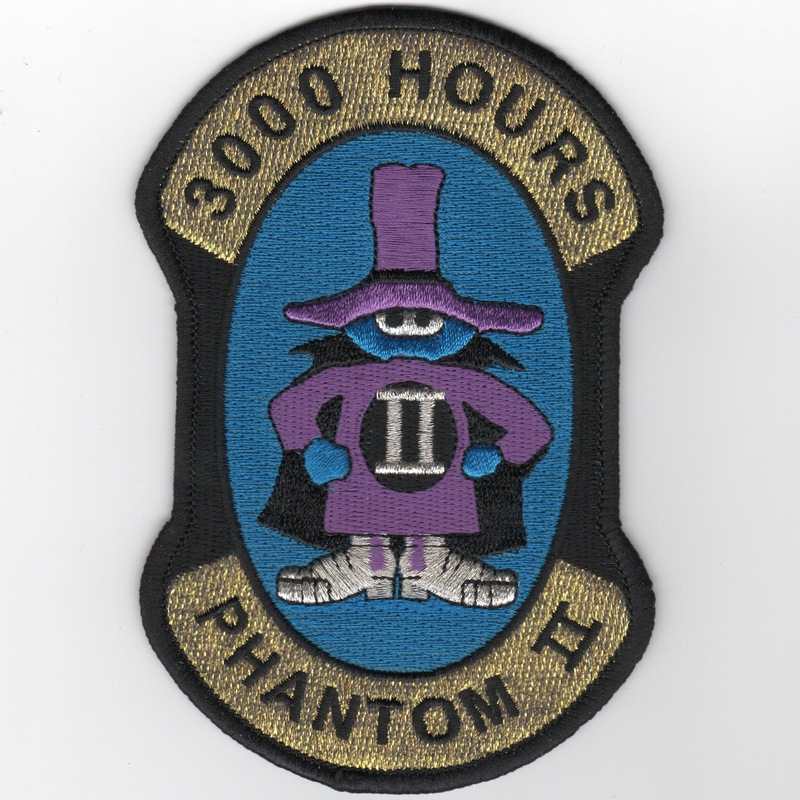 It was recently created for the Phantom community and does not have velcro attached. 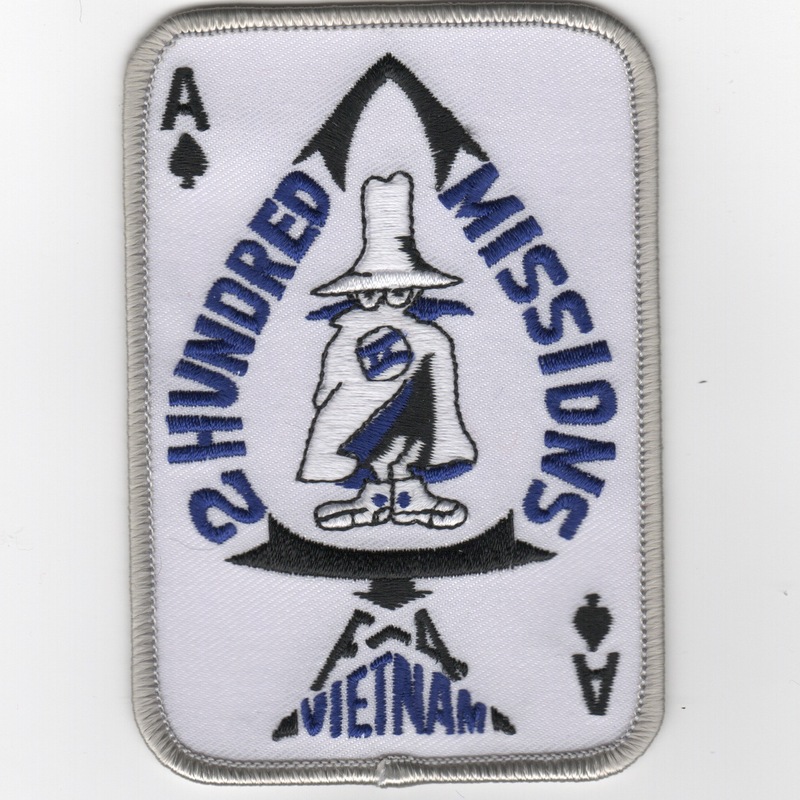 This is the Red/White/Blue shield-shaped patch depicting 200 missions in an F-4 Phantom over North Vietnam. 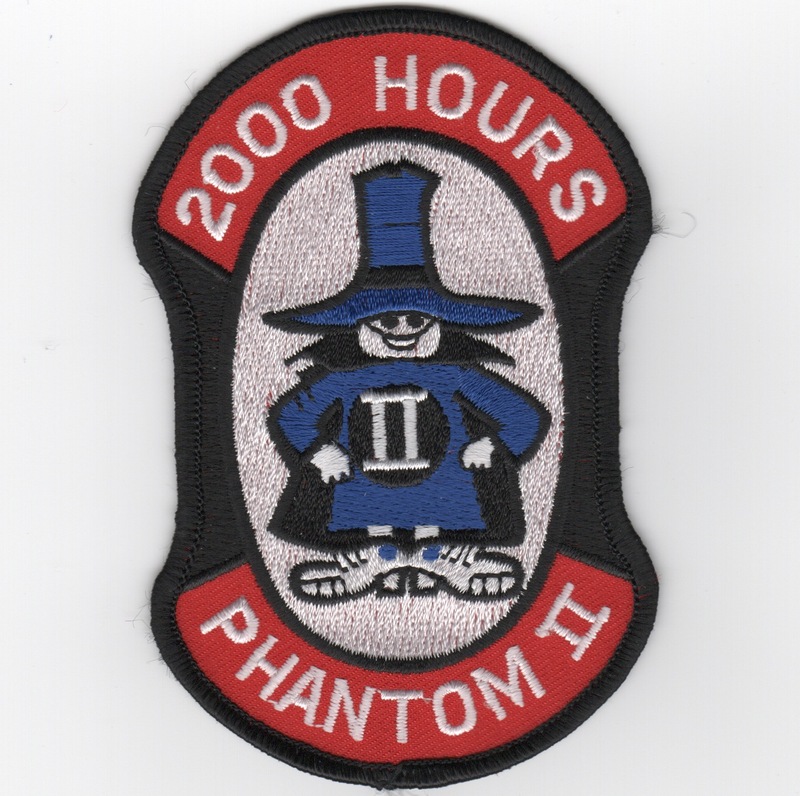 It was recently created for the Phantom community and does not have velcro attached. 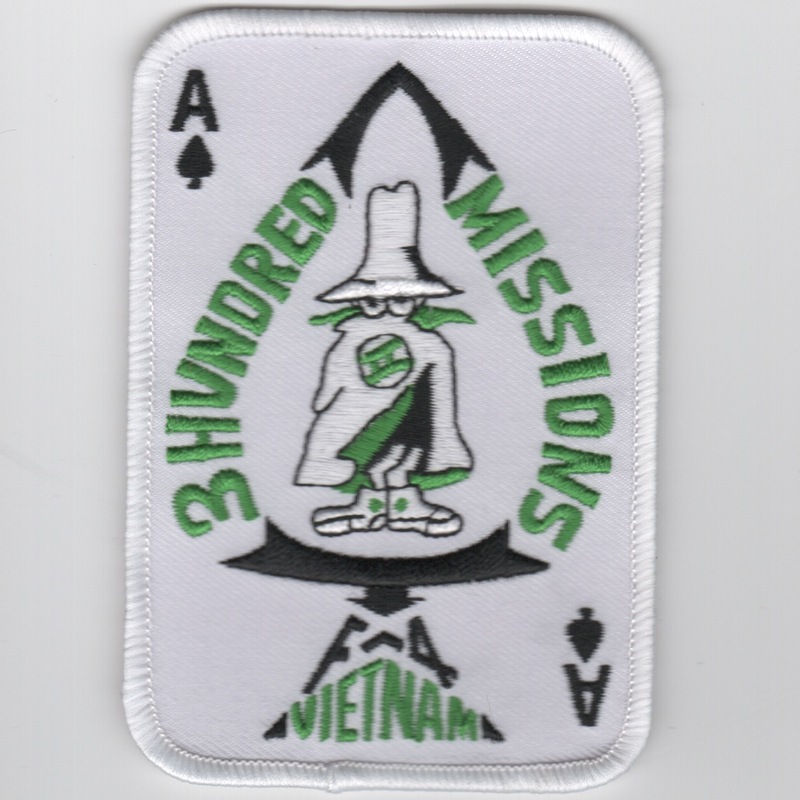 Use this link to get all FOUR of the R/W/B shield-shaped F-4 Phantom Mission patches over North Vietnam. The McDonnell Douglas F-4 Phantom II is a tandem two-seat, twin-engine, all-weather, long-range supersonic jet interceptor aircraft/fighter-bomber originally developed for the United States Navy by McDonnell Aircraft. It first entered service in 1960 with the U.S. Navy. Proving highly adaptable, it was also adopted by the U.S. Marine Corps and the U.S. Air Force, and by the mid-1960s had become a major part of their respective air wings. 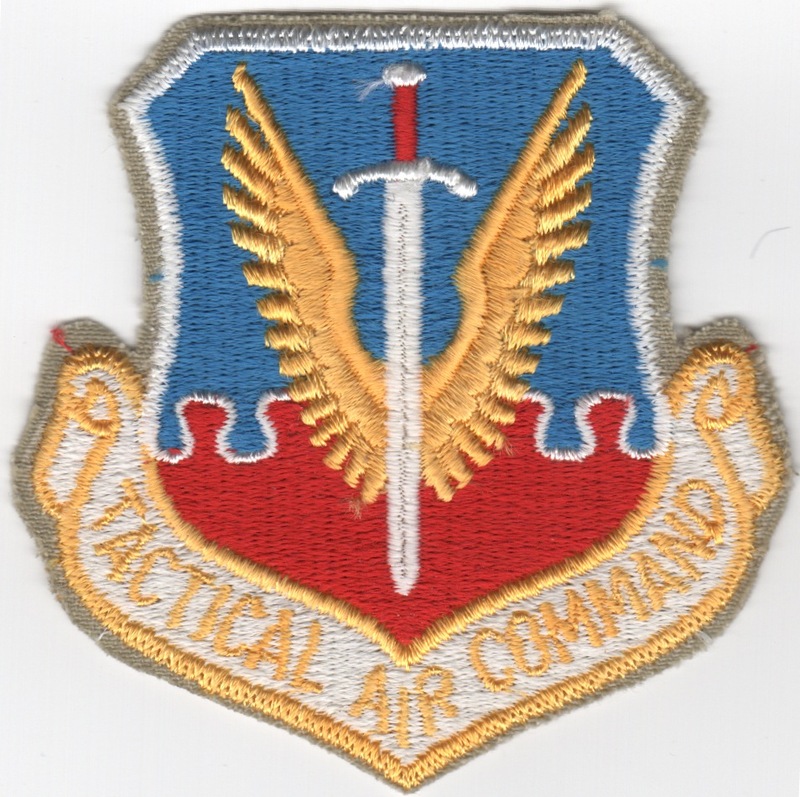 This is a reproduction patch and does not come with velcro attached. The McDonnell Douglas F-4 Phantom II is a tandem two-seat, twin-engine, all-weather, long-range supersonic jet interceptor aircraft/fighter-bomber originally developed for the United States Navy by McDonnell Aircraft. It first entered service in 1960 with the U.S. Navy. Proving highly adaptable, it was also adopted by the U.S. Marine Corps and the U.S. Air Force, and by the mid-1960s had become a major part of their respective air wings. 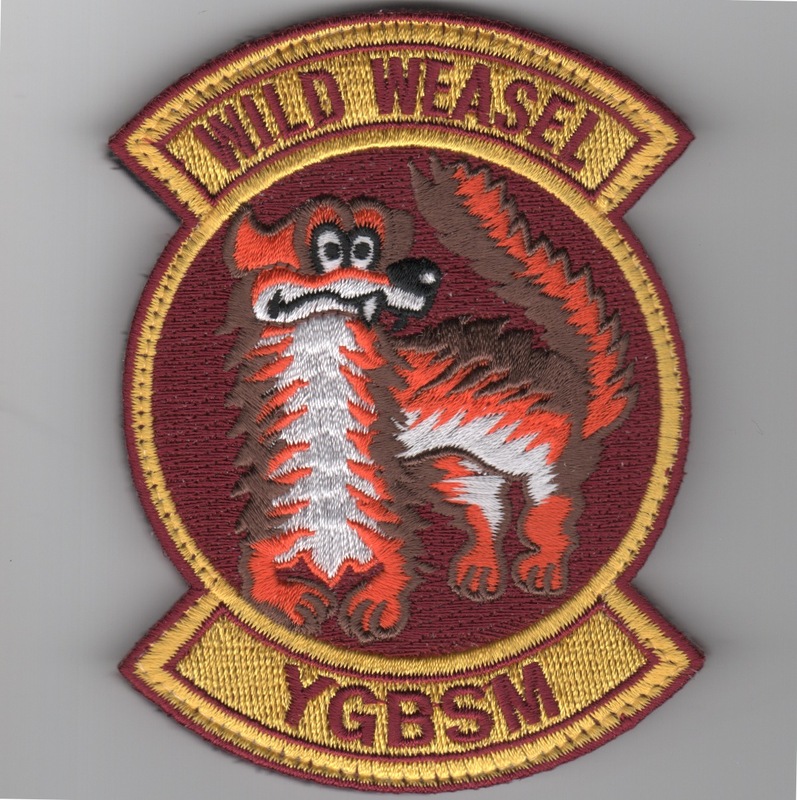 This is the red version of the "coffin" patch and does not come with velcro attached. The McDonnell Douglas F-4 Phantom II is a tandem two-seat, twin-engine, all-weather, long-range supersonic jet interceptor aircraft/fighter-bomber originally developed for the United States Navy by McDonnell Aircraft. It first entered service in 1960 with the U.S. Navy. Proving highly adaptable, it was also adopted by the U.S. Marine Corps and the U.S. Air Force, and by the mid-1960s had become a major part of their respective air wings. 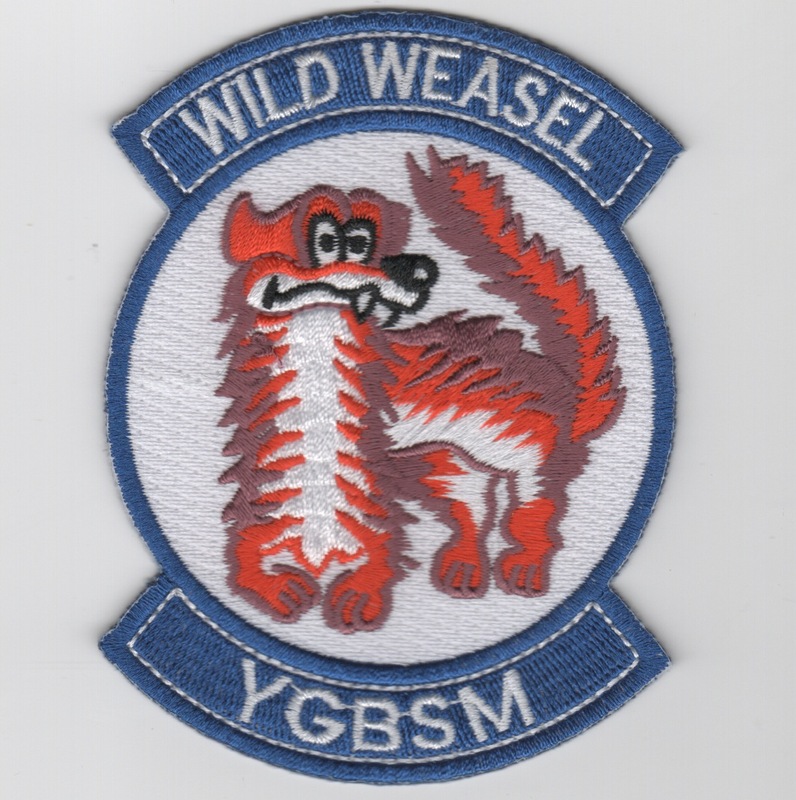 This is the red version of the "coffin" patch and does come with velcro attached. 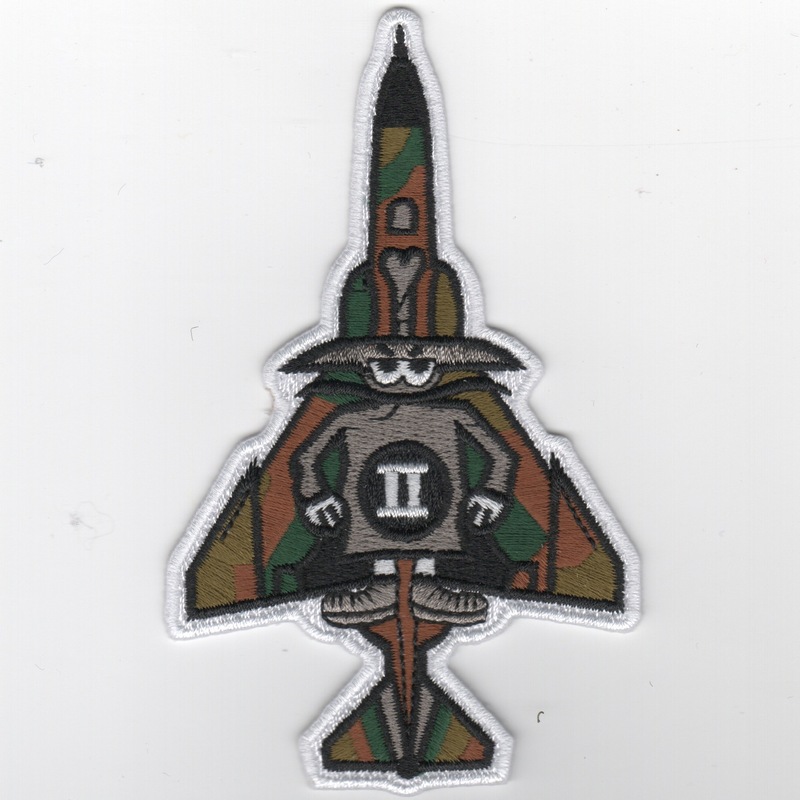 This is the camo version of the F-4 Phantom II Aircraft patch showing the "planform" of the aircraft with the "spook" on top of it. This patch does not come with velcro attached. 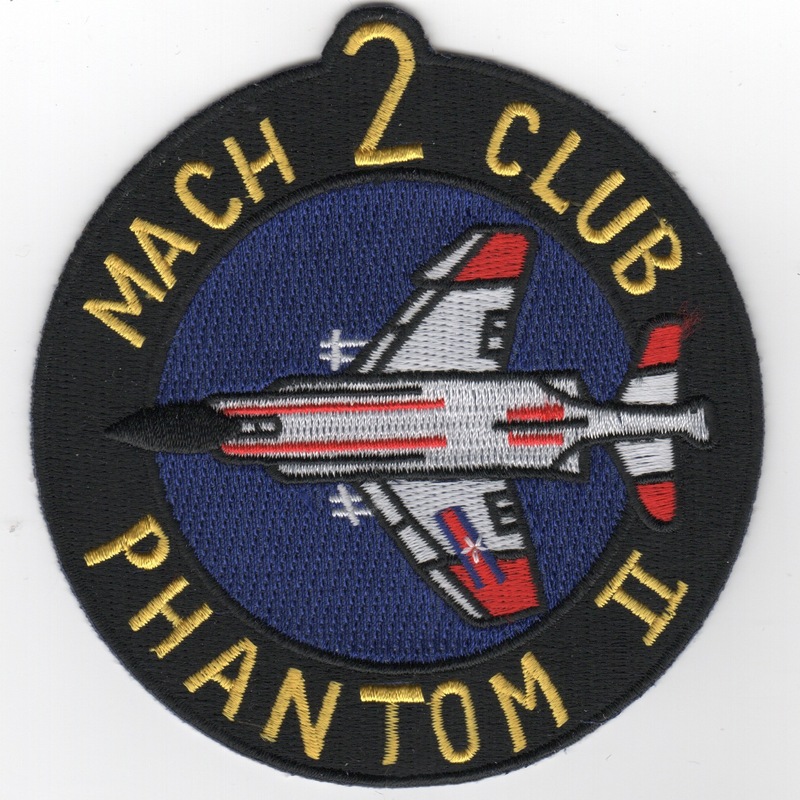 This is the F-4 Phantom II Aircraft patch only worn by those who were in 'the club'....that club is for those who went twice above the "number" in the Phantom. This patch does not come with velcro attached. 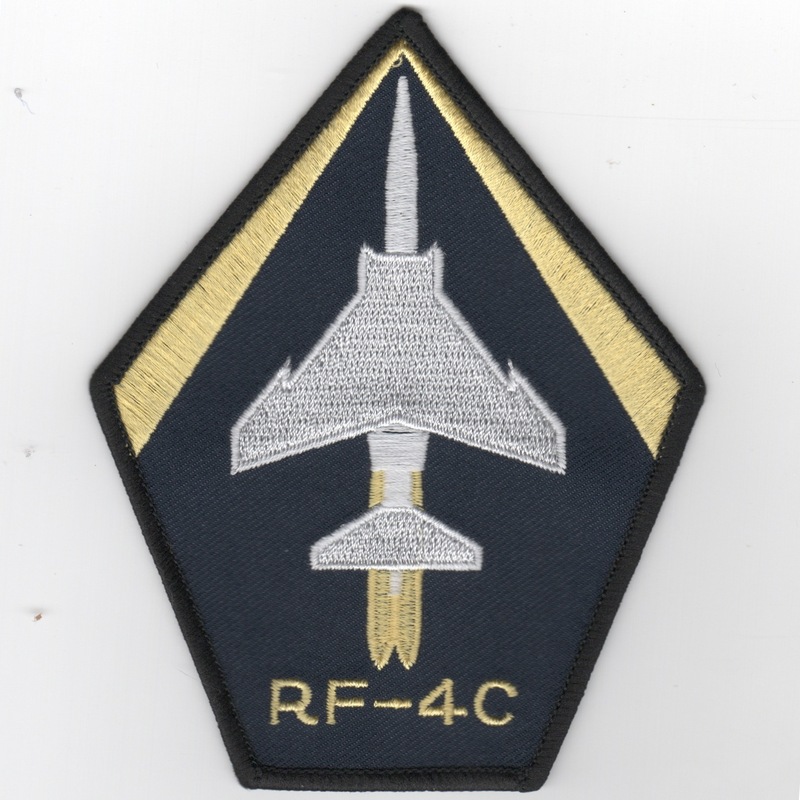 This patch was the F-4's Depot Maintenance patch. They are the ones who worked on the Phantoms when they were delivered to the "Depot" for routine maintenance. Each F-4 was required to be sent to the Depot every 4-5 years in order to be "refurbished". 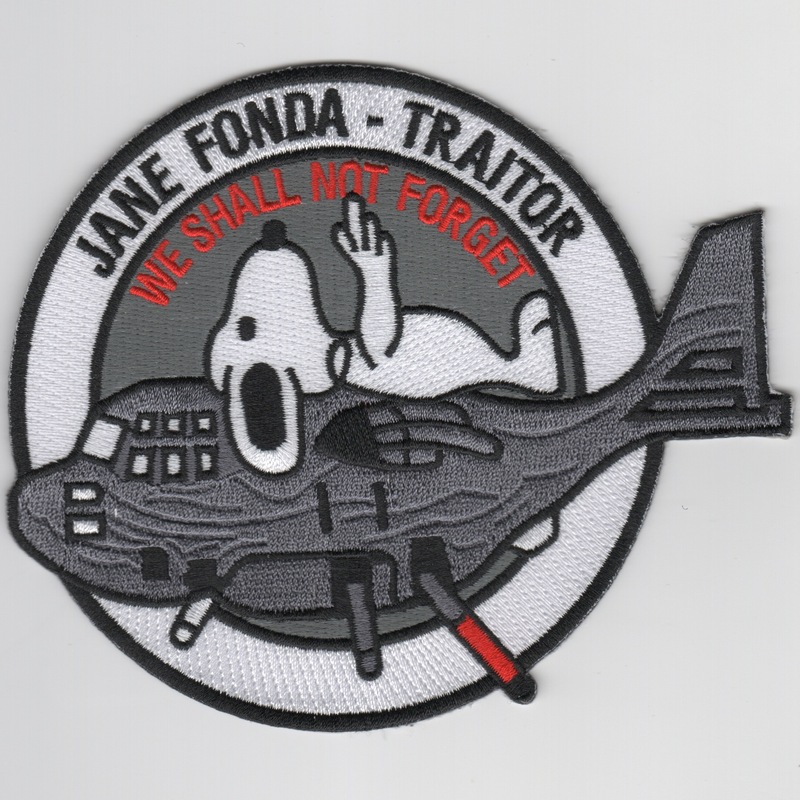 This is the famous F-4 Phantom II patch that shows how the Phantom Phylers (and pretty much every military person) feels about "HANOI JANE". This patch does not have velcro on the back. 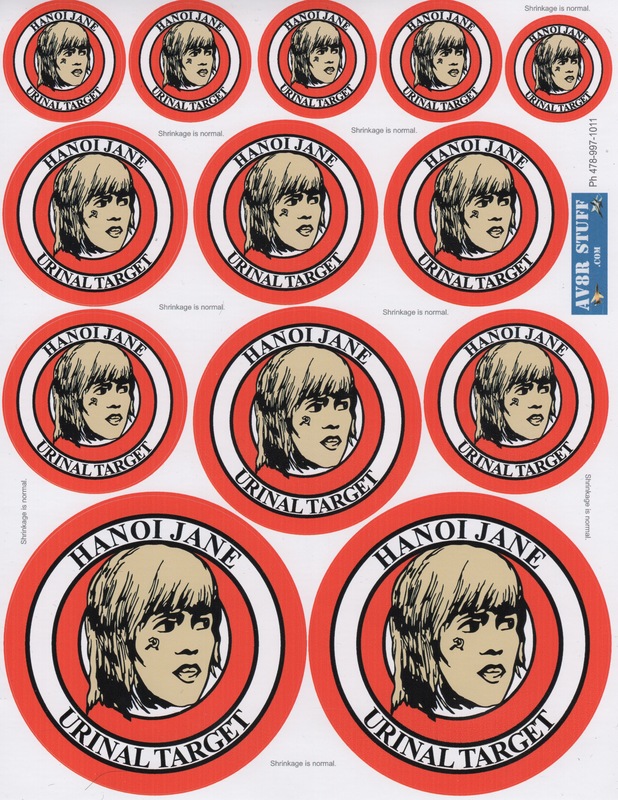 This is the HANOI JANE sheet of zaps that has 13 stickers of varying sizes. This is the Hillary Rodham Clinton (HRC) sheet of zaps that has 13 stickers of varying sizes.